Okotoks #1 trusted servicer for your appliance repairs, count on us to repair your oven in a timely and affordable manner. We have strategically located technicians on call near you in Okotoks and elsewhere in the Calgary. No matter which of your appliances isn’t performing as you wish – be it your washer, dishwasher, dryer, oven, stove, or more – we can be there with our fully stocked repair vehicle within a matter of hours and have your appliances up and running again in no time at all. Schedule your repair visit for evenings, holidays or weekends if you prefer – we will book our services around your working day. Okotoks Appliance Repair has never been easier! Request an Okotoks Appliance Repair Appointment today. Is your fridge too warm and food is getting spoiled? Perhaps your fridge is too cold, and food is freezing. Condensation, sweating and dripping pools of water can also happen and we’ve seen it all – and more! Our repair vehicles are fully stocked, and our personnel are highly skilled! 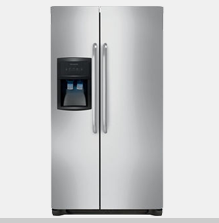 Call Appliance Service YYC today for fast and effective fridge repairs in Okotoks. Appliance Service YYC technicians are in the Okotoks neighbourhood at all times for all your fridge repair needs. 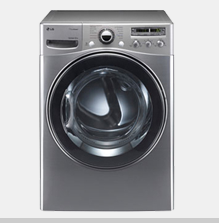 Is your washing machine overflowing with bubbles? Perhaps it has it stopped working completely? Our Appliance Service YYC technicians in Okotoks know diagnostic tricks and come prepared with all the spare parts in their repair vehicles, which they most often need to make the repairs on the spot. 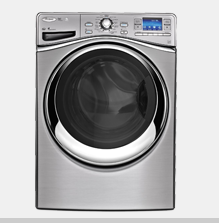 If your washing machine is giving your problems and you are looking for same day service, call Appliance Service YYC today. Is your dryer not turning on? Maybe your clothes are coming out of the dryer still damp? No need to worry! Our technicians at Appliance Service YYC will be able to diagnose the issue with your dryer, and have it back to working order in not time. Our repair vehicles are equipped with the most common parts for dryer repairs, so we will be able to complete the repair in the same day, saving you time and headaches. Call Appliance Service YYC for all your Okotoks dryer repair or service needs. Has your dishwasher stopped draining? Do the plates still come out dirty? 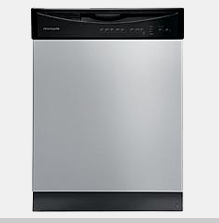 At Appliance Service YYC, we can diagnose the reason your dishwasher has been malfunctioning! We carry spare parts with us that will bring your appliance back to life in no time at all. For reliable Okotoks dishwasher and other appliance repairs, call today and enjoy our same day service. Is your stove not heating up or is it carbonizing your food? Don’t go hungry – call Appliance Service YYC today and we’ll send out one of our skilled Okotoks technicians to perform a same-day stove repair. We bring all the spare parts we possibly need for the most common stove malfunctions. It is very likely that we will be able to resolve your problem in just one visit. 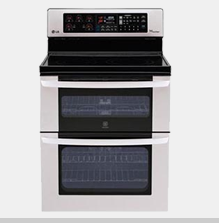 Call Appliance Service YYC today to set up your same day Okotoks stove repair appointment. Is your roast chicken not roasting? Or the cheese on your gooey, movie-night nachos refuses to melt? Why not call Okotoks Appliance Service YYC repair to send out one of our highly skilled technicians to come and take a look. Our trained team is very familiar with all main brands of oven and carry hundreds of replacement parts in their repair vehicles ready to be used. Get back to your nachos in no time! 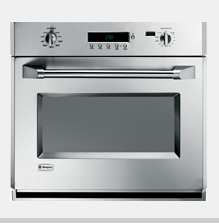 – call us today to receive a quote and ask about our same-day Okotoks oven repair service. We can also provide services such as kitchen mixer repair, which requires you to bring your item in-store to the nearest Okotoks location for repair. We give you a free quote and diagnosis of your problem before our technicians proceed to work on your repair. Household appliances is not where it stops however, we also offer condo appliance repair services in Okotoks and surrounding areas. If you live in, or around Okotoks and need quick appliance repair services, call Appliance Service YYC at 403-879-0967 or fill out one of our contact forms and one of our professional technicians will contact you for all your repair needs!